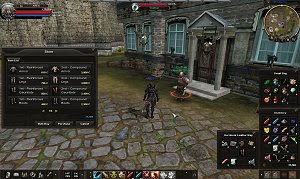 Rosh Online: The Return of Karos marks the return of Karos Online in an advanced and much upgraded version. Rosh Online is a multiplayer online game where players have to battle the curse of war that descended over the world of Asmara and become the ultimate Rosh. Grow your character and explore the vast world, enter exciting Extreme Instance Dungeons and obtain gear from more relaxing activities such as fishing, mining or hunting.